It’s a new Ask DST with Diamond Select Toys President DSTChuck, and he’s taking your questions on everything from Marvel to Muppets, from Batman to Alien, from Star Trek to Sonic, from Castlevania to Pacific Rim, from Ghostbusters to Godzilla! Read on to see if your question was answered, then submit one in the drop-down form up top, or e-mail DSTChuck! Hello DST! Happy New Years! Just wanna say, that I’m still waiting for the Vincent Vega action figure. Hope to buy him in 2019. DSTChuck: Mikhail, I really wish I could give you good news… but it’s not looking good. The demise of TRU, as well as turnover with the license, and approvals, has made it seemingly impossible to get these to final production. Absolutely loving your gallery statues. I was just wondering whether you’ll be releasing a stan lee one at any stage? DSTChuck: We do not have any rights to Stan Lee at this time, so I don’t think it will happen any time soon – but that could be very cool. Hello! I love the collection of Batman The Animated Series Bust that you guys have put out so far. I am wondering if there is any plan to finish out the collection with some of the remaining villains from the show such as the Mad Hatter, The Ventriloquist, or Hugo Strange? I would love to have these available for purchase! DSTChuck: Reports of this line’s death are greatly exaggerated. Look for more news in the future. The world is waiting to hear if you will be doing large figures for the upcoming Godzilla King of Monsters film. DSTChuck: We will not have any rights to the NEW movie, sorry. Are you planning any more Marvel Select figures based on the larger characters? Apocalypse, Sasquatch, Man-Thing, Maestro… any of those would be potentially awesome! DSTChuck: While the costs of production and license keep rising, I still think we are going to try to mix larger figures into our Select line, especially Marvel. The 2019 plan is not fully set yet, so we’ll have to see. 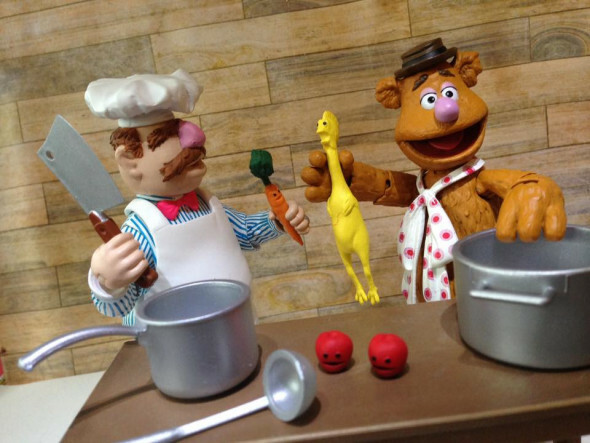 Now that The Swedish Chef figure is out, any updates on the rest of Muppets Series 4 being released? I have every figure in the set and would really love to complete the collection, especially since Dr Teeth and Zoot are 2 of my favorite Muppets! I hope to hear from you soon and keep putting out great products. DSTChuck: We still need to sell a good deal more Chef to break even, but if we can even just break even we would be inclined to produce more Muppets products, especially the band. If the L3D Animal bust does well, we’d love to do more of those as well! Since MacFarlane Toys can’ t seem to produce a Star Trek Discovery Phaser, are you planning on producing your own that is interactive with authentic lights and sounds? DSTChuck: At this time, we do not have any rights to make product based on the new Discovery series. Any chance on seeing an Infinity War Thanos in Select line? Also, how about classic, comic book Loki in the same, Marvel Select version? DSTChuck: Right now, we do not have a comic Loki planned, and we are not allowed to dicuss any products we maybe producing for End Game. Hey DST! Huge fan of you guys. Love your Marvel and kingdom hearts lines! And I’m also looking forward to the Sonic line as well. That’s what I wanted to ask about. Any chance you’re doing anything with the character Shadow the hedgehog? That’s my absolute favorite character so I’d love to see him in PVC Statue or figure if you guys go thru with those as well. Thanks! DSTChuck: Hey, right back at you Mike, glad to have you onboard. We are working on a good amount of Sonic products right now – hopefully we can show a nice spread at Toy Fair in February, and fans will be happy with what we have planned. 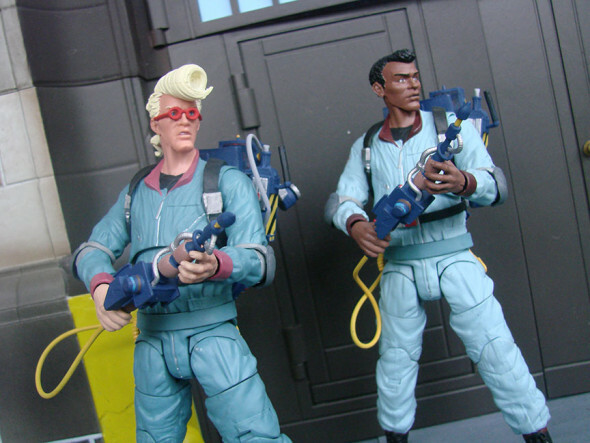 Still holding on to hoping we get more Ghostbusters and more real Ghostbusters….but I’d like movie stuff first. Find some way in making the Scoleri Brothers. Make the license work. DSTChuck: Brian, some of the items you are asking about are not allowed in our current license; as for the rest, we will have to see what the future holds. I just started collecting PVC statues and I am loving your stuff. Any plans on adding She-Hulk to the Femme Fatales line? How about Kidpool, Dogpool and Headpool in a single base to complete the Deadpool Corps. I already have Deadpool and Lady Deadpool so it would be awesome if I could complete the “family”. DSTChuck: Ryan, we have no plans right now to stop producing new cool stuff for the Gallery line, so hopefully we can get to everyone’s favorites at some point. 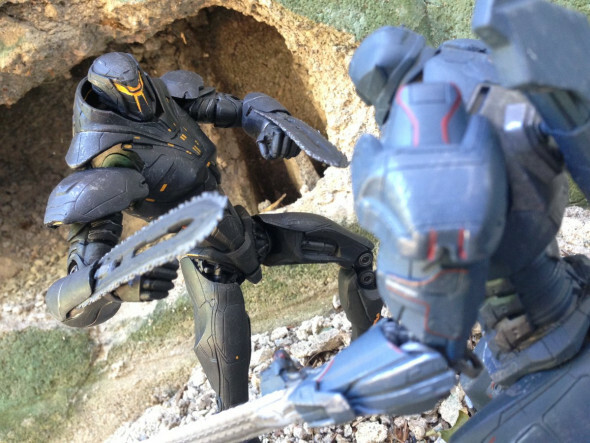 I have all of your Pacific Rim Figures to date, but I’m really hoping and wishing that you guys will release a slim packaged variant of Obsidian Fury with no blades. I thought the initial release of the rogue Jaeger would come with swappable arms, but as cool as the figure is, I was disappointed to find that he didn’t come with swappable arms similar to Gipsy Avenger. The blades are cool, but it would be really great if we could display Obsidian Fury without his weapons deployed all the time. You guys initially showed off a prototype with no blades and I’m sure many collectors would love to get their hands on that version of Obsidian Fury. Will we see this get released in the future? DSTChuck: With the closing of TRU and lack of support at retail for PR, I don’t see any way we’re going to do a main line re-release of any of the Jaegers in slim package. Will you made more Pacific Rim kaijus? DSTChuck: We’ll have to see how the first one does, but TRU was a big supporter of the line, so it’s hard to say. Are you planning on making any more of the Alien xenomorph cookie jars? DSTChuck: It is very possible, we do check in with sales from time to time to see what the interest is at retail. Will there be a Storm Gallery Statue coming soon? DSTChuck: For sure, Storm is on our short list. Any possibility of a David Baldeon 2018-2019 Domino figure? DSTChuck: We do not have one planned as of now, but never say never. 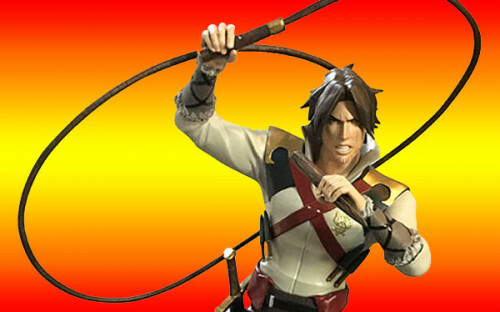 Are you planning to make Castlevania action figures? Hello, do you have plans for Dark Phoenix 2019 movie-based figures?? I would love a Marvel Select Cyclops figure with the new suit!! DSTChuck: Sorry, we do not have the rights to any of the Fox movies. Still got a question? Submit one in the drop-down form up top, or e-mail DSTChuck! Next Up: Coming This Summer: Bruce Lee, Castlevania, DC and Marvel! 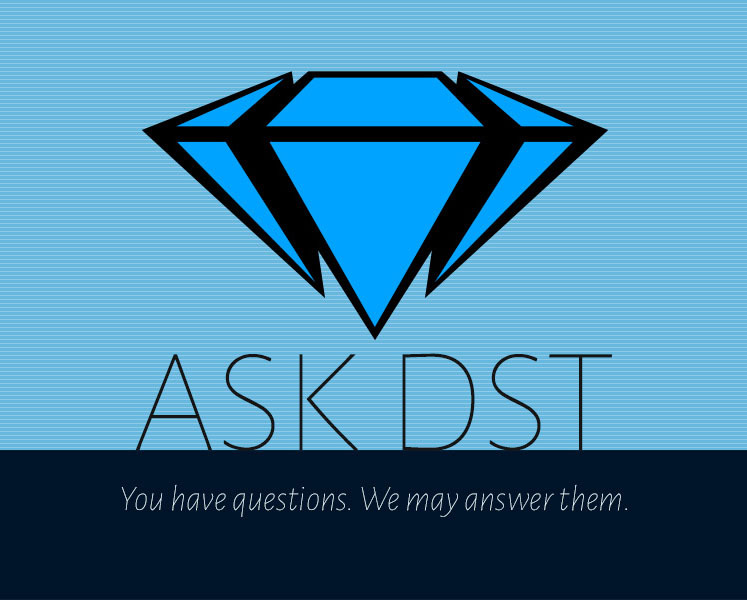 Ask DST #398: Pacific Rim, Ghostbusters, Marvel, DC and More! Ask DST #387: Ghostbusters, Pacific Rim, Batman and More!